Caregivers Encino : If you’re like the many seniors that reside in your home you likely want to stay in your home for as long as possible. Home Care services By Blue Diamond Senior Home Care allows seniors to reside in their homes while getting their activities of daily living met by a professional caregivers. Clients can be assisted with a wide option of care from medicine reminders to meal preparation. Perhaps one of the most often questions we are asked is what is the cost. The cost for caregivers services depends on what the level or care is for the client. Let us say you have needs for care for someone who has dementia and they need basic around the home chores this level of cost would be far different that someone who needs full care who is bed bound and wears adult diapers. Let us say you sign up and the hourly rate is $ 20 dollars per hour and you need care for 12 hours per day. So the rate is $ 20 dollar but by CA law anything over 8 hours becomes overtime of 1.5x the normal rate. So if you are getting 12 hours per day at 5 days per week your cost would break down as follows. 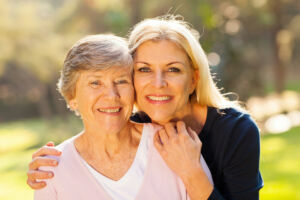 Now in order to save money you may be better off getting a 24 hour live in caregiver. Live in rates are much less expensive when you hire a live in caregiver at $ 265 dollars per day that is a difference of $ 265 dollars per 24 hour Live vs $ 560 dollars if you are paying $ 20 dollars per hour for two 12 hour shifts. The price difference is $ 295 dollars per day. Or $ 1,475.00 dollars per week, which makes your savings $ 5,900 dollars per month or $ 70,800.00 dollars per year. If a live in caregiver is not an option for you then you can consider hiring two caregivers for 6 hours each to make your 12 hour shift or one 8 hour caregiver and another part time caregiver at 4 hours. 6 hours (x) $ 20 dollars = $ 120 dollars ( Caregiver # 1) AND – 6 hours (x) $ 20 dollars = $ 120 dollars ( Caregiver # 2). This would make your cost of a 12 hour shift just $ 240 dollars per day. So at $ 240 dollars per day that i still a difference of $ 40 dollars less per day then if you hire one person for 12 hours. So if you are doing 5 days per week at $ 40 dollars less per day you save $ 200 per week or $ 800 per month which comes to $ 9,600 dollars less per year. For a home caregiver agency to be valid in the State of CA a agency must meet criteria. That criteria is that caregivers Redondo Beach care registered with the home care State Board. These caregivers have to have clean records with a State passed background check. In addition our caregivers will be covered under workers compensation and general liability. A unique Value of home care in Encino is that a senior may have control of the number of hours they need. They can use a caregiver for just a few hours while others care plan that may require 12 hour shifts or more. In the assisted living setting seniors have little to no control over how activities are ran and who will be their care provider during the days. Additionally assisted living caregivers in Encino or nurse aides are often given a huge task of proving care for 5-8 seniors simultaneously. Often this creates a gap in which many seniors will receive more care and others can often be neglected. Private personal home care seniors are given a more one on one approach in which care and be tailored to the clients care needs. Do You Only Care For Seniors ? No we can help those who have had plastic surgery and we help young adults and children as well. Who Pays The Caregivers ? What If We Do not Like Caregiver ? Do You Have Contracts ? Yes we have custom contracts, we have no start up fees or cancellation fees. we simply ask for a 3 day notice if you are wanting to end services. Does Medicare Or Medical Cover ? What Insurances Pay For Home Care ? What Does IHSS ( In Home Support Services) Cover ? This is a government run policy that does not work with private home care agencies. Normally one has to get evaluated and this can take some time then one is give hours based on their needs.The IHSS Program will help pay for services provided to you so that you can remain safely in your own home. To be eligible, you must be over 65 years of age, or disabled, or blind. Disabled children are also potentially eligible for IHSS. IHSS is considered an alternative to out-of-home care, such as nursing homes or board and care facilities.